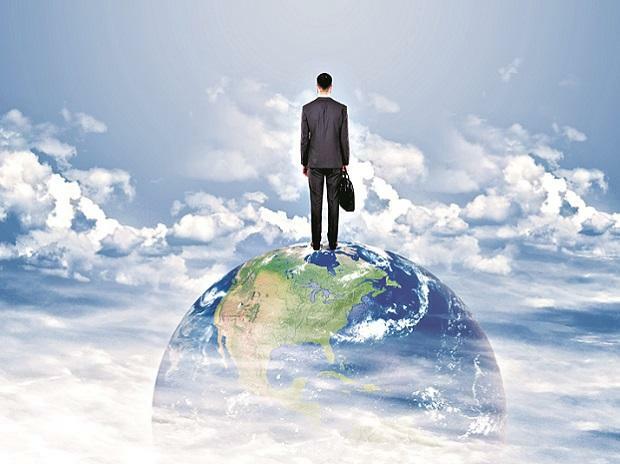 Foreign institutional investors (FIIs) poured over Rs 33,100 crore ($4.8 billion) into the domestic equity markets in March. This was one of the best month in terms of overseas flows in the history of Indian capital markets. The sharp inflows led to an 8 per cent rally in the benchmark indices. The gains were despite selling worth Rs 7,160 crore by domestic mutual funds (MF). An analysis of market performance during months when FII and MF have been big buyers of equities shows overseas investors are bigger price setters. In October 2018, the benchmark Nifty fell 5 per cent despite highest-ever month inflow of over Rs 24,000 by MFs. 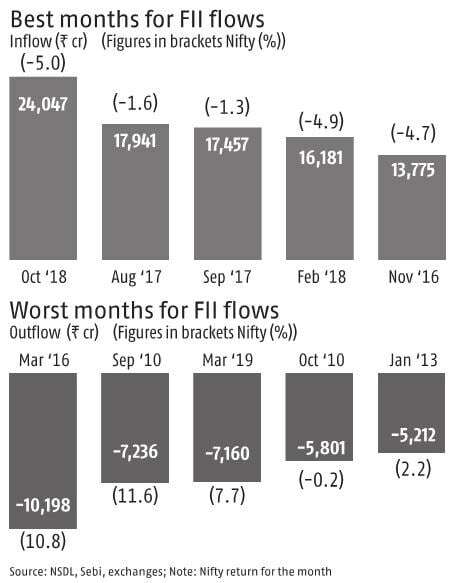 The same month saw FII selloff worth Rs 27,623 ($3.8 billion). 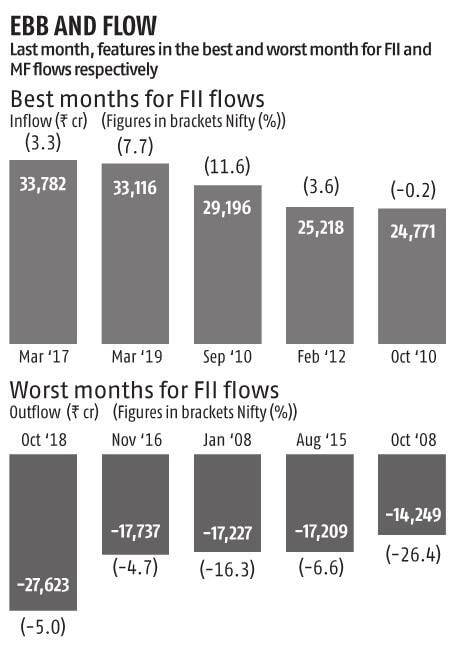 The Nifty has gained an average 5 per cent during the five best months in terms of FII flows. While it has declined an average 3.5 per cent during the five worst months of FII selling. Interestingly, the Nifty has declined an average 3.5 per cent during the five months of highest MF buying and has gained an average 6.4 per cent during five months MF have sold the most.